GPS Over Fiber Transmitter & Receiver. RFOptic presents its new innovative GPS Over Fiber product line. 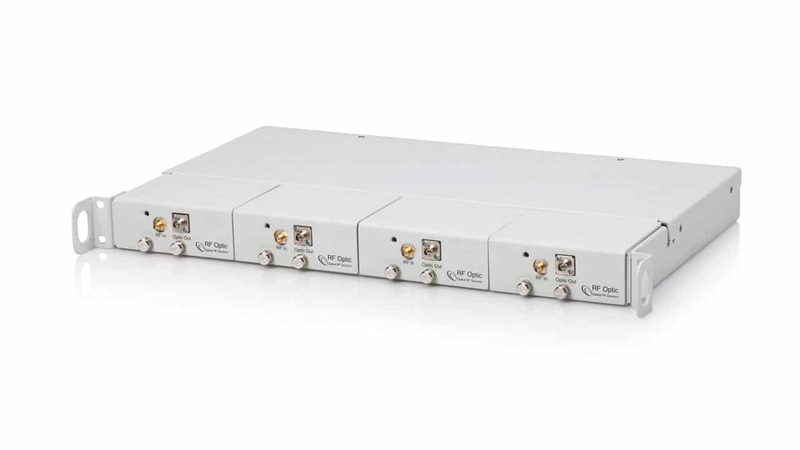 RFOptic’s palm size analog RFoF modules for GPS applications supporting up to 2.5 GHz, are used to convert RF signals to optical signals to carry over long distances. The Tx unit uses an optical transmitter to convert RF to Optical signal. The Rx unit converts it back to RF signal. The two units are connected through the customer’s single mode fiber.